Are you facing another morning when you pull yourself out of bed and stumble through your exhausted day? Sleepless nights are bad enough, but they leave you to wrestle the days after as well. Enjoy your partner and kids without being edgy or irritable. Being kind to yourself, which is hard because you’re not the person you know you could be…if you had enough rest. Complete business reports without nodding off or worse, making mistakes. Take on important projects, like volunteering, creating art or writing, calling your local representatives, or even having the oomph to sort through that growing pile of mail. Here is a different path out of the trap of insomnia. This sleep-doctor approved program teaches you to deeply rest your body, mind, and emotions. It helps you restore you for the next day, and welcomes sleep to boot. To learn more, let’s connect in a free consultation. Wondering if my approach will help you? stop the impossible crusade for sleep. 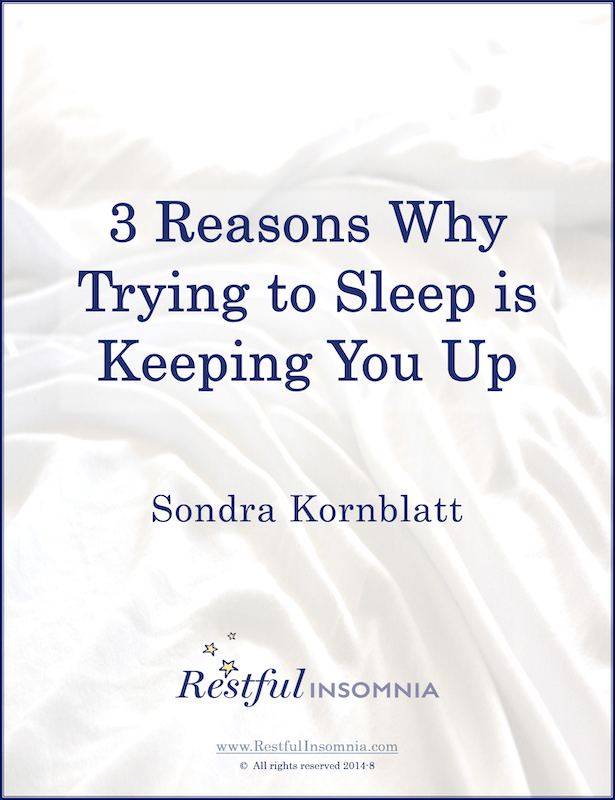 Learn why in my free ebook, 3 Reasons Why Trying to Sleep is Keeping You Up. . . and change your perspective on your nights.